Roberto has worked extensively (pro bono and professionally) in connection with anticorruption efforts in Mexico and Latin America, heading anticorruption groups nationally and internationally since he is a believer of a better world without the evil of corruption. He is a member of the International Academy of Construction Lawyers. WWL Construction 2018 says: Roberto Hernandez-Garcia stands out as one of the most prominent construction lawyers in the country. He is much respected for his exceptional work on both public and private construction projects as well as related public procurement issues. WWL Government Contracts 2018 says: Roberto Hernandez-Garcia is praised for his first-rate government contracts practice which spans a wide array of sectors including construction and infrastructure. Roberto Hernández-García is a Mexican attorney specialised in public and private construction projects, public procurement, and dispute resolution related to these areas of practice. 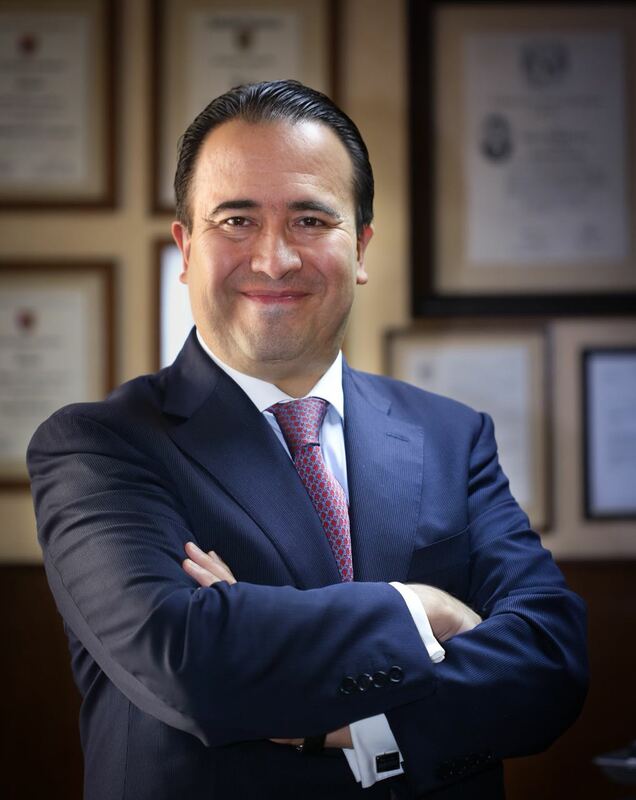 He is a managing partner of COMAD, SC, a prestigious boutique law firm established in 1965 and based in Mexico City, with a focus on public procurement, construction and compliance in these areas. Since 1989, he has advised top-class American, European, and Mexican construction, engineering and architect firms in relevant construction projects in Mexico and Central America in the energy, oil, health, water, sewage, gas, petrochemical, parks, transportation, airports and building sectors, among others. Roberto has been involved in many relevant complex construction projects, acting in different capacities. Such projects include, but are not limited to, the Central American Transmission line (SIEPAC); the Tunel Emisor Oriente (a 62-kilometre sewage tunnel in Mexico City and surrounding states); the Mexico City Metro Line 12; the Panama Canal; the construction of one of the most important buildings in Mexico City; the design and build of three mega brewery plants in the north of Mexico, the New Mexico City Airport and the Mexico-Toluca train. One of Roberto´s strengths in the construction area is his experience in dispute boards in Central and Latin America (Honduras, El Salvador and Peru). He is the only Mexican construction lawyer, and one of the very few Latin American lawyers appointed as sole adjudicators or members of DABs in projects in the region, and has been requested to speak and train in several Latin American countries on the topic because of his specific expertise. Projects where he has worked included Highways, bridges, and sport facilities. Roberto is a former, and first latin american, chair of the International Construction Projects committee (ICP) of the International Bar Association (IBA) and of the construction disputes committee of ICC Mexico. He is a member of the steering committee of the Division 8 Construction Forum of the American Bar Association (ABA), and he is a member and fellow of the Dispute Board Federation. He has been invited as a speaker in several countries by international institutions and organisations such as King’s College London, the IBA, the ABA, the ICC, the Peruvian University of Applied Sciences, the University of Lima, the Canadian Commercial Corporation, the OECD, the government of Brazil and the government of Colombia, among many others in matters related to public procurement, construction and anticorruption. Roberto is a believer of helping in the society. His firm has been giving permanent support to three children in their school fees for several years, and in a personal basis, with his family, provides 100-120 sandwiches every week to poor families in the church community, having been given approximately 25,000 sandwiches in the past years, sorrowfully not enough to finish hunger for many people that lack basic elements of living.